I recently came across the article The Rise of Feminist Hacker Spaces and How to Make Your Own which describes the history and creation of Double Union hacker space in San Fransisco. A hacker space is another term for a maker space, an environment in which people are encouraged to be creative and to make something from first principles, to build something from its most basic components. That something could be as ambitious as an all singing all dancing robot or it could be an item of clothing. It got me thinking that there must be other groups doing great things for inclusivity, so I went searching for some. First I found Mz Baltazar’s Lab, and then an article about the rise of feminist hackerspaces in the US published by The Journal of Peer Production. The article explains the phenomenon in more depth than I ever could and is worth a read if you’ve got the time. Here at Taccle we’re not expecting teachers to go out and start a maker-space, you’ve got enough on your hands as it is, but you may find inspiration for yourself, your groups and classes in the great projects below. At the end of this blog post we have added links to some online resources to help keep your practice inclusive. This intersectional feminist makerspace is an inclusive and accessible way for everyone to get involved with making and computing. This group is all about “Bridging the Digital Divide” bringing new technologies, coding clubs and opportunities to those who would not usually be able to access them, the focus here is on including marginalised groups including: learning disability; homelessness; mental health; LGBT, BME and young women. 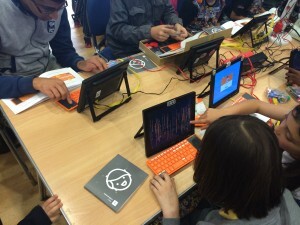 There are a lot of great projects going on around Europe with the intention of teaching young people to code, to think logically, to make and create. There are a couple of well known schemes you can easily get involved with by signing up online such as Coder Dojo and Code Club. There’s also Girls Who Code.